Obesity and being overweight according to Health Canada has risen dramatically in recent years. Canadians and Quebecor’s were always smug about being less overweight than our American neighbors. 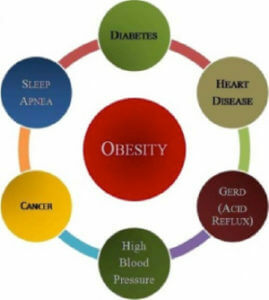 However, obesity is staring us in the face and we now face the same problem. An estimated 15% to 25% of all teenagers and 25% to 50% of all adults have a weight problem and an estimated 5.5 million adults are obese. All this comes with serious health concerns such as type 2 diabetes, heart attack, stroke, high blood pressure, high cholesterol, arthritis, some cancers and many others. You probably know part of the answer. Most people put on weight as they get older. Yes, less exercise and age is partly to blame, but the bigger contributor is METABOLISM. Our metabolism slows down and that affects our body’s ability to burn off fat and calories. So we pile on the weight. Another major reason is the type of foods we eat. Most people from Asia, the Middle East, South America and many parts of Europe eat less fat and processed foods in their diet and it shows on their waistlines. Their food choices are simply healthier and impact weight much less. We rarely see fat Asians and they do have longer life spans as well. Our nutritional brochure explains why some foods need to be avoided and how they affect weight. 75% of antibiotics are given to animals and fish to fatten them up. When we eat their flesh, we ingest the «antibiotics» we gain weight. Restricting fats influences weight by more than double. Laser treatments are completely pain-free, heat-free, safe and very efficient. Our mild laser uses a 60 watt bulb. No side effects. We stimulate acupuncture points associated with appetite and fat reduction. Laser helps the natural production of endorphins with very satisfying result. Our cold laser treatments will help to better regulate proper digestion thereby preventing the occurrence of stomach pain and upsets, as well as indigestion. The treatments will help to better regulate the system by cleansing the body of toxins and other harmful wastes that disrupt and clog digestion. First, the cold laser treatment accelerates the weight loss, by increasing your metabolism, helping to curb your cravings for bad foods. Then natural supplement therapy- available in most pharmacies- decreases stress and anxiety. Finally our medically based nutritional health program brochure helps you understand how certain foods affect weight gain and health. The laser weight loss therapy can be used with any other weight loss program such as Weight Watchers or Nutrisystem. Real change requires a little common sense and a fair amount of patience and discipline. The average weight loss is 2 – 3 pounds per week or 8 – 12 pounds per month, however many of our motivated patients who follow recommendations and our brochure, can expect to lose 3 to 5 pounds a week (12-20 lbs per month) depending on weight. Of course it is your motivation level that determines whether you will lose 3 to 5 or 1 to 3 pounds a week. Most people will lose inches on the waist before the weight but they do notice it on their clothes. Expect cravings and appetite to decrease. In fact, the expected weight loss is 2 to 5 pounds a week, if motivated. This is no diet, so you keep your desired weight. No portion control, only laser treatment combined with a medically approved nutritional plan and natural supplement therapy- available at most pharmacies. You will definitely lose weight with our program, and be healthier as well. Suppress your appetite. You will feel full with less food. Raise your metabolic rate, increasing your body’s ability to burn fat and calories. Eating Habits –High fat - Processed foods -sugar. The 1st appointment lasts about 2 hours. A non-invasive, low level (cold) laser is used to stimulate acupuncture points on the ears, nose, hands, and wrists. The technician explains and reviews the nutritional brochure - an important part of the treatment- with you. She also explains natural supplement therapy. For the average patient who wants to lose between 5 to 10 pounds, 1or 2 treatments is generally sufficient. The 2nd appointment about a week or two later is included in our base program and lasts about 45 minutes. Here the technician will assess with you how the plan is proceeding, evaluate your weight loss, and re-evaluate your food choices. Adjustments are made and then you can mutually decide if more booster treatments- to bolster metabolic rate to increase both fat and calorie burning – are desired. The idea is to build the metabolism, boosting it in increments with each treatment session, if needed. The number of Laser Therapy treatments depends on the patient's goals for losing weight, the speed at which they want to lose it, and their commitment to keeping the weight off. If the overeating is severe more sessions may be required. Laser Treatments are not meant to replace eating right or exercise; the program is designed as a weight loss accelerant so that you can burn off excess weight much faster than you normally would. Combined with a healthy diet and mild exercise our tailored laser therapy sessions allow you to burn off the pounds and excess body fat faster than normal. Weight loss is greatly enhanced. Reduce appetite and food cravings. Lose not only pounds, but inches on the waist. Our program does not include: counting calories, weighing food, buying special food, magic shakes or portion control. Yes, we do weight loss but we attain it through health & metabolism management. Our medically proven nutritional health program is an important part of our program. It’s not a diet, so the weight does not come back and there are no food portions. No drugs, no pills, no special foods, no magic shakes. Within 24 hours expect relief of constipation, indigestion, oily skin, fatigue, etc. to begin. 22 mg/dl (0.6 IU) reduction in total cholesterol. 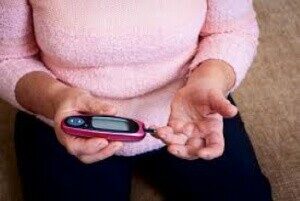 In most cases medications for hypertension, Type-2 diabetes, cardiovascular disease, cholesterol etc. can be stopped or greatly reduced. (Under doctors’ supervision, of course). Within 4 months most chronic problems from food poisoning are a matter of history. Health Conditions. Are there any risks? Laser Therapy is 100% natural, painless and non-invasive therapy. 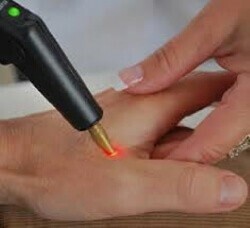 If you are taking medication laser therapy will not interact with your medication, as it is not an internal treatment. If you have health concerns, consult your physician prior to treatment. What is the Laser Therapy Program for Weight Loss? Laser therapy, as the name suggests, is a very concentrated laser beam, the intensity of which does not exceed the power of a 60-watt bulb that will stimulate the relevant meridians around the ears and other meridian points, exactly like acupuncture but without needles. Will I have to buy special foods or drinks? Absolutely not. You will use the same favorite recipes you now, with very few adjustments. You will begin to eat more fruits, vegetables and lean protein, but eat less sugar and harmful fats. You will learn about the dangers of processed foods and saturated fats. How animal proteins affect your weight and health - heart disease, cholesterol, type 2 diabetes, blood pressure and cancers - and how these harmful proteins are easily replaceable. Will I have to calculate proteins or reduce my servings? It is not a diet and there is no special menu or foods. We in North America measure and weigh and worry where our proteins come from. Yet we are the most overweight population in the world, have the highest rate of cancer, heart disease, and osteoporosis even though we drink the most milk. Populations the world over eat a variety of foods and don’t need to worry where protein comes from. It is in most foods. No, it has been practiced successfully in Western countries for about 40 years. The laser treatment offered by TherapieLaser.ca for weight control is perfectly safe and without side effects. Several studies in Europe and the United States demonstrate the effectiveness of infrared laser in the treatment of weight loss, appetite control, stress, anxiety and addiction. Absolutely not. Because there are no needles and you do not penetrate the skin, you would feel nothing. Rare testimonials speak of tickling felt during the treatment, without more. The treatment is really painless. It is even very relaxing. Laser treatment takes 30 to 60 minutes and most people fall asleep and feel relaxed afterwards. The nutrition plan and explanation of our health and weight loss brochure takes about an hour. In 90 minutes you’re ready for a new slim and healthy lifestyle. Lasers work very well and have a high success rate, 85-94% - although individual results may vary. Losing 5 pounds or 2 in the week is mostly a question of motivation, which is enhanced with the support supplements explained above. Following the nutritional plan is part of the plan as well. Can I really lose weight right from the first treatment? Frankly, yes, but only if you have the will. The first week will be to cleanse the system and you will start to have a smaller waist size. The second week you will start seeing more of the weight reduction. I received excellent service from Ms. Heba and her team at Laser Therapy for weight loss treatment. I lost 10 lbs in a few weeks and I feel much better. I keep going towards my goal of losing 20 lbs and I am confident to get there thanks to the good advice and the follow-up. Good luck to everyone!"